Manchester United’s defensive woes may get the better of them soon. Jose Mourinho’s reputation for fielding sides that don’t concede goals is increasingly coming under threat. Despite establishing themselves as comeback kings, the early goals they concede are cause for much worry. The big chink in their defense is the lack of a leader at its heart. After experimenting with various combinations, the Portuguese gaffer seems to have found some respite in fielding Chris Smalling and Victor Lindelof at the back. The Swedish defender seems to have overcome his early flaws, and has established himself as a reliable centre-back, while the Englishman has seen lots of improvements this season. Regardless, the worries are still obvious, and now, a solution could arrive in the form of a sale. As per The Sun, Everton are eager to sign Smalling, and have scouted him on numerous occasions already. The centre-back’s contract runs out at the start of next season, although the Old Trafford outfit does have a clause that could see him extend his stay by another 12 months. The report states a club source to have revealed: “Chris has been looked at by a number of clubs, but Everton have shown a lot of interest. 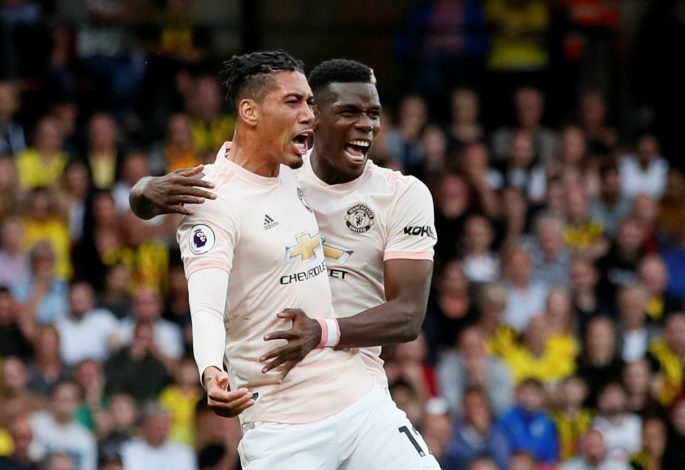 It is believed that Smalling is holding out for new terms with improvements to his wages, while the Toffees could land him with an offer in excess of £30 million, even in the event of a contract extension. Else, a free transfer is on the radar.